A show stopper! 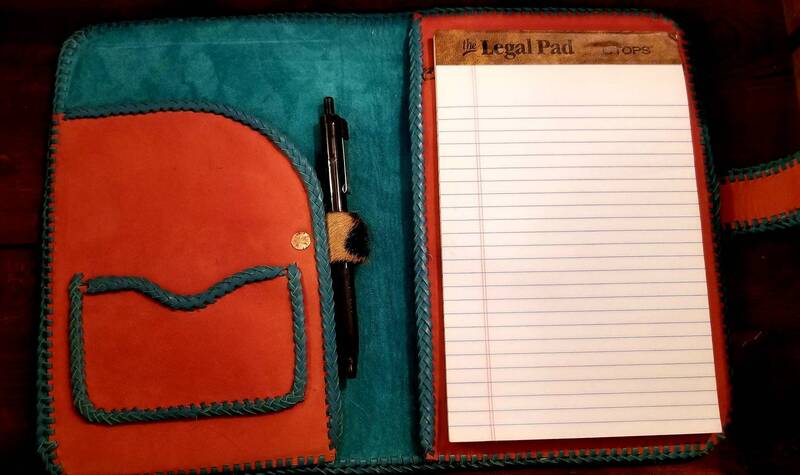 This junior legal pad portfolio is sure to catch the eye of everyone! 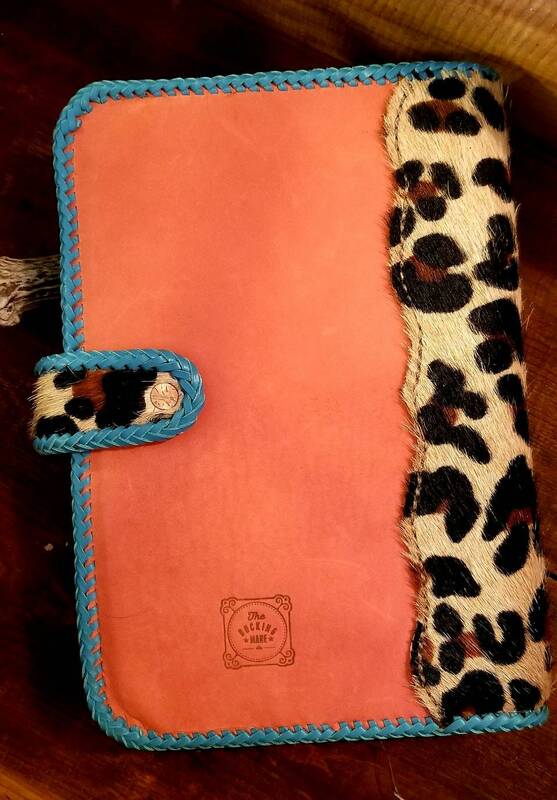 Crafted from the most perfect color of coral sueded leather the portfolio is accented with hair on hide leopard print leather for the spine and closure. The closure features a large silver and turquoise (faux) concho in a south western pattern. The leather has been sealed with a special sealer to help make it resistant to dirt and liquids. 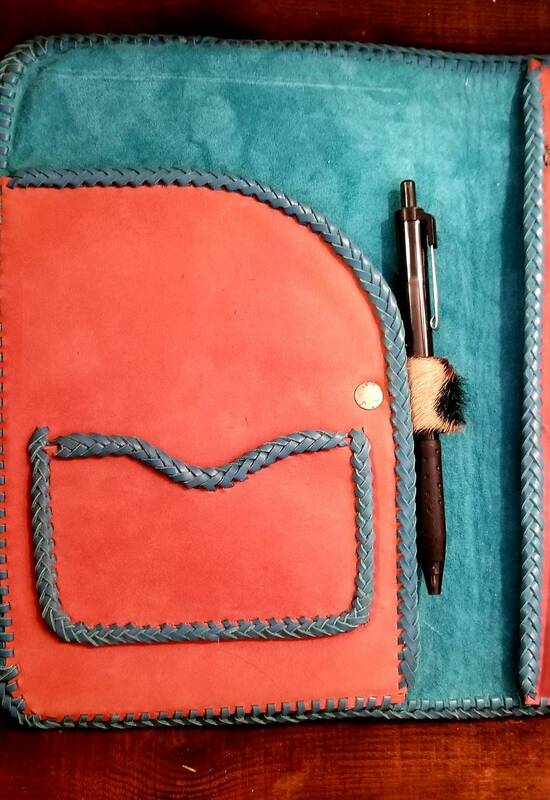 The inside is lined with turquoise suede and features a pocket with card slot. 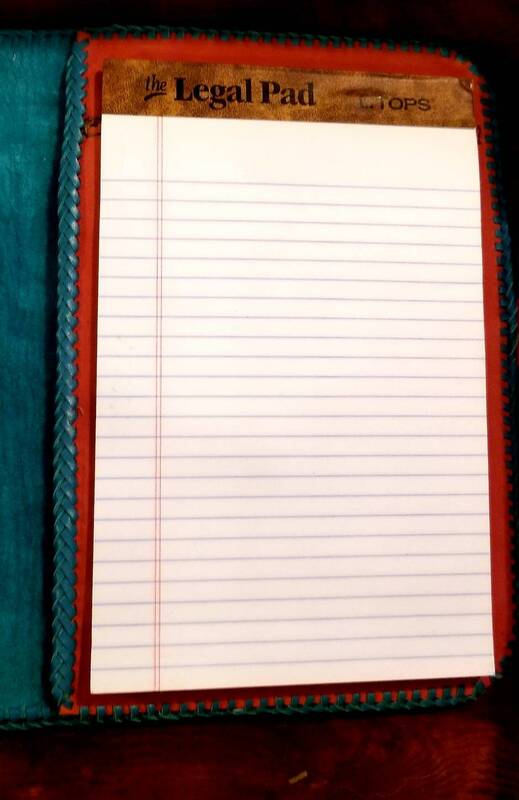 The pad side of the portfolio is also an additional pocket at well. 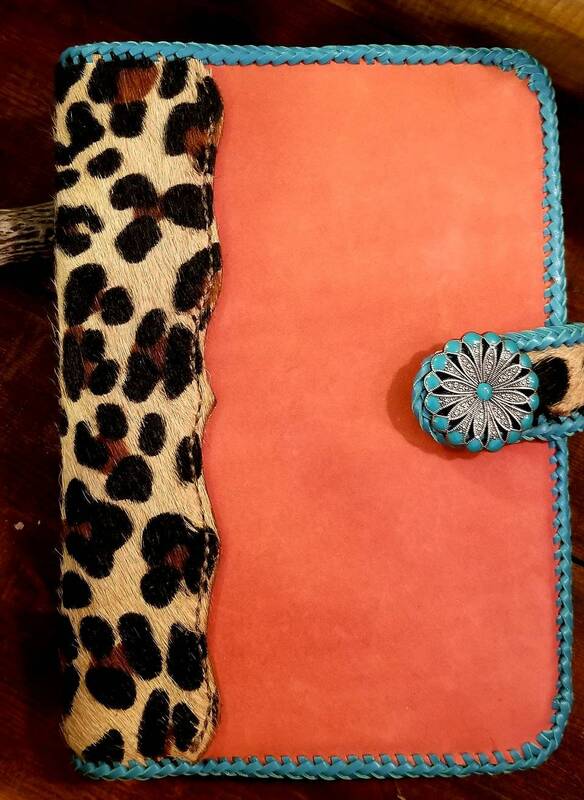 The real beauty of this portfolio is the turquoise kangaroo lace. The entire piece has been hand laced with this premium lace in the triple loop style. The portfolio measures 6.50 wide and 9 inches long.